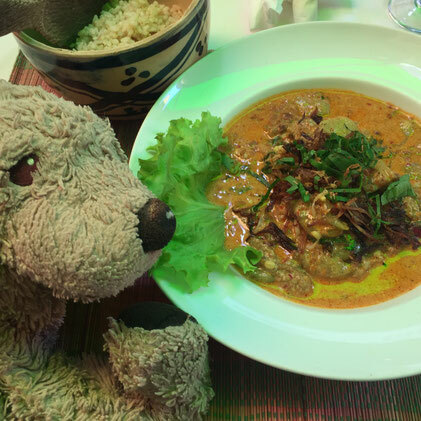 The food I have eaten at CHAMKAR was the BEST food I have eaten during all my weeks in Cambodia. 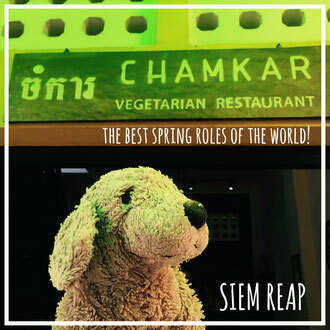 CHAMKARS spring roles are the BEST spring rolls Miss Stanhope has eaten in her entire life. Remarkable. Delicious. Mouthwatering. A taste explosion (plus healthy). 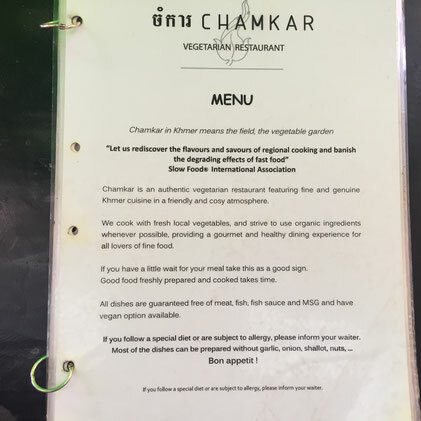 If there is one place, where to eat if you are in Cambodia, make it the CHAMKAR. It does not look fancy. It does not look like having the best food around. It looks like a small cosy place. 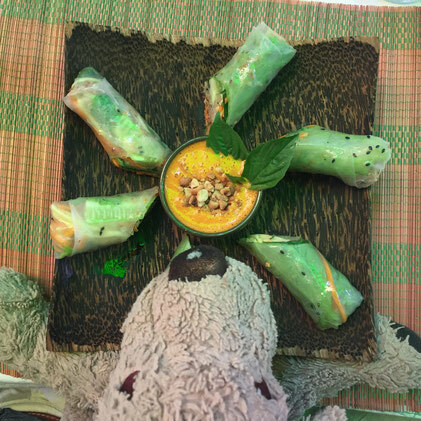 The staff is very friendly too..
RATANA´s SPRING ROLES with fresh mango, cucumber, carrot, lettuce and a wide range of fresh aromatic herbs served with a sweet coconut, peanut and chill sauce. It's just beyond description. I could eat that EVERY day of my life and be very happy about it. The BEST spring roles I have ever eaten. Just when I see these pictures, I want to take a plane and fly to Cambodia. This dish is called "MAD EGGPLANT LOVERS". If you are not a mad eggplant lover yet, you will be after have eaten this. 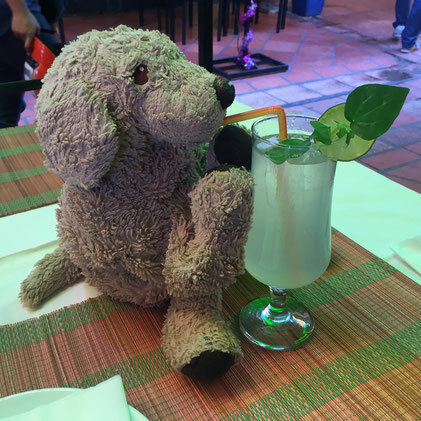 If you do like eggplant, you will thing you just entered the cuisine haven. It's crazy, how good this tastes. CHAMKARS is not so easy to find. It is located between street 8 and 9, between street 11 and the hospital road in the alley way. Mon- Sat 11.00 am to 10:00 pm and Sun 5:00 pm to 10.00 pm.